Fish Cholesterol - Is fish safe for a cholesterol sufferer? Is there cholesterol in fish? Is fish high in cholesterol? How much cholesterol is in fish? Is fish safe for a cholesterol sufferer? Is there cholesterol in fish oil? How to cook up fish the low cholesterol recipe way? Here you will find all your fish cholesterol answers. Is there cholesterol in fish? 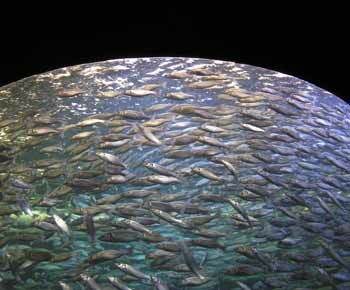 Is fish high in cholesterol and how much cholesterol is there in fish? How much cholesterol a fish contains depends on it's type. Generally, fish contains between 0.5mg cholesterol per gram of fish, and upto 1.2mg cholesterol per gram of fish. For comparative purposes, this is very similiar to the cholesterol in beef, chicken breast, bacon ... which runs around the 1mg cholesterol per gram. So why is fish cholesterol not ringing alarm bells? It's because fish mostly have very little fat in them and fish have almost nil saturated fat. So although the cholesterol in fish is not much better than what you would find in meat, it's draw card is that, without much saturated fat, there is almost nothing in fish for our body to convert to cholesterol. Meat on the other hand, with it's saturated fat, can fuel the body with the saturated fat to make cholesterol. The cholesterol in fish was worked out using figures provided by ANZFA; where fish is canned, the fish cholesterol stated is the cholesterol in the fish after the brine or oil has been drained off. Is there cholesterol in fish oil? 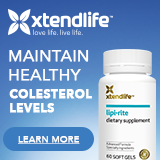 The amount of cholesterol in fish oil varies from from about 0 to 1 mg cholesterol per 1000mg fish oil capsule - but the people stating these figures tend to have a financial interest in selling fish oil. For a high cholesterol sufferer, I think it reasonable to work on fish oil as having between 0.5 mg cholesterol per 1000mg fish oil capsule, up to 1.2mg cholesterol per 1000mg fish oil capsule. Is fish safe for a cholesterol sufferer to take? Generally speaking 75% of the population don't have to to worry about the cholesterol in their diet, however, for those of us with high cholesterol, who suffer with high cholesterol, our livers are not able to keep up with the primarily bad diet we have exposed our bodies to for so long, so for the high cholesterol sufferer, whose body doesn't need to be pumped with more cholesterol originating from bad eating and drinking habits, fish needs to be taken into account when working out the daily cholesterol dietary intake. Preparing fish the low cholesterol way. As a fish contains about as much cholesterol as a piece of meat, but with the added advantage of having negligible saturated fat, a high cholesterol sufferer normally restricts their fish intake to about one meal a day. The low cholesterol recipes for preparing fish are to either boil, poach or fry - with a thin spray of vegatable oil, such as canola oil. 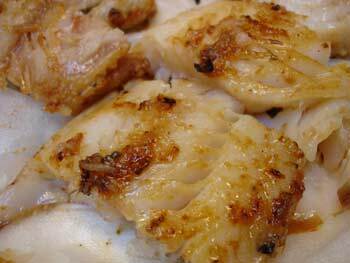 Oven baking of fish is acceptable, provided only a thin spray of oil is used. The fish can be seasoned any way you want, provided the seasonings are cholesterol and saturated fat free. Try using the herbs and spices that help lower cholesterol - these can be found on our lower cholesterol naturally page. Main write by Donald Urquhart, BA, DipAppPsy.